These adhesive sheets from Ranger feature a high tack adhesive that can easily bond to paper, chipboard and cardstock. Use with embossing powders, glitter, wood, glass, foil sheets and more. These sheets can be easily cut with hand held punches and are compatible with most die cutting machines. Each package includes six double sided, permanent adhesive sheets that measure approximately 4 1/8" x 6". 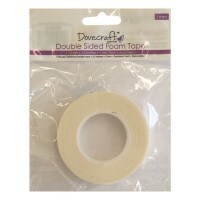 Dovecraft foam tape. Ideal for use in decoupage, matting and layering, and 3D embellishments. Eac.. Measuring 5 1/2" x 6", this Bigz die showcases the bold and edgy style of Tim Holtz. This die works ..
Dovecraft foam tape. 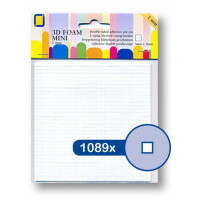 Ideal for use in decoupage, matting and layering, and 3D embellishments. Each p..
U-Craft Foam Squares: Each pack contains 400 x small foam pads that measure 5mm x 5mm square an..
Dovecraft Foam Squares: Bumper pack of 20 sheets, each with 400 small foam pads that measure 5m.. 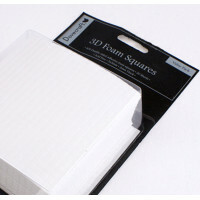 Foam Squares: Each pack contains 1089 small foam pads that measure 3mm x 3mm square and are 1mm thic..